I can’t recall our first meeting but I can tell you it was love at first sight. My curious gaze met his warm, brown eyes and the rest is history. 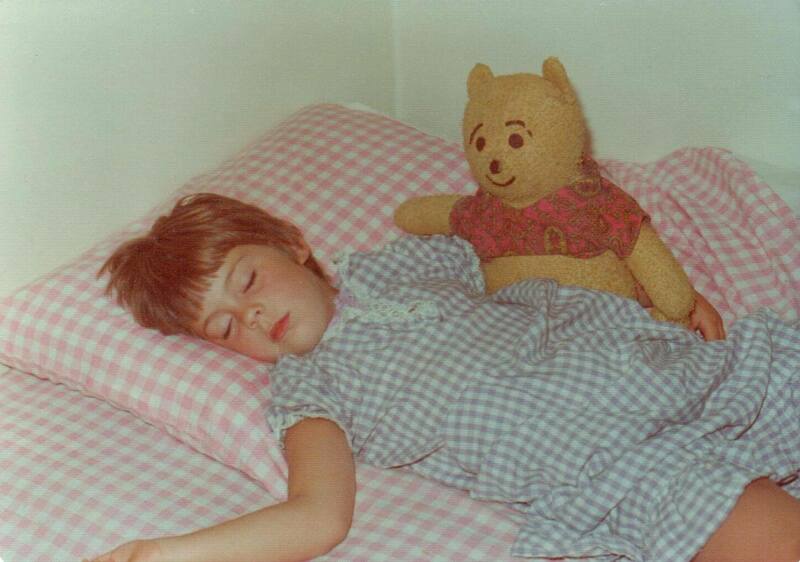 I was a year old, and he was a stuffed bear, but ours is a love story for the ages. When I couldn’t fall asleep, Winnie was there. When I was excited to read my new poem or short story, Winnie was there. And, sadly, when my roommate’s dog escaped her confines and ran up to my room, Winnie was there. After some moderate facial reconstruction and many tears on my part, Winnie, or a new version of his former self, was still there. He is still slightly angry that he had bad plastic surgery. He may have slightly faded with time, as have I, but he still remains the same stoic character that I have come to rely on over the last 48 years. We celebrate our birthdays together. 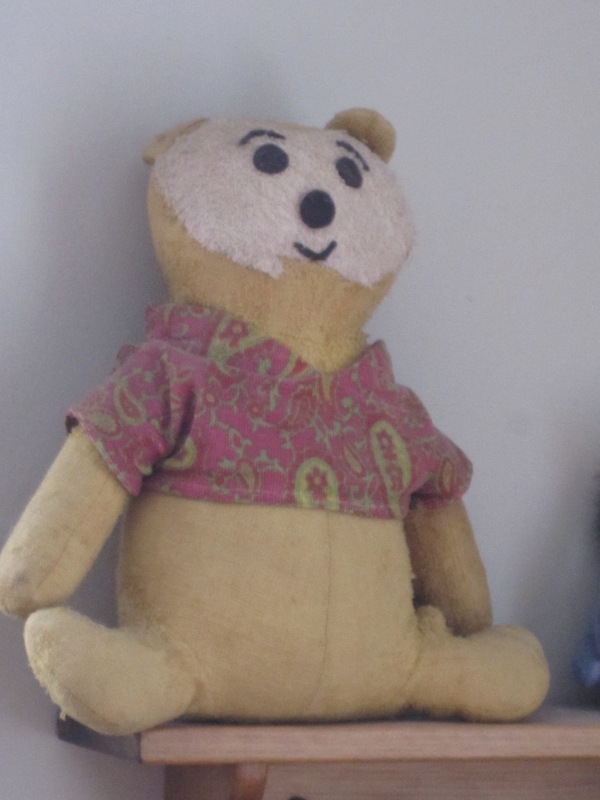 My mother created Winnie from a 1965 McCall’s pattern and he was my gift on my first birthday. Although I have the benefit of one extra year of wisdom, each year is just as special because he is there to celebrate with me. He has been my confidant, my best supporter and the shoulder (albeit padded) I know I can cry on whenever I feel the need to shed a tear or two. He, like me, has experienced an encyclopedia of reference material when it comes to life events but we have come out remarkably unscathed. Happy Birthday Winnie! May the scars of our past help carve the road that leads us into our future.